Love your Printer with these Projects | TonerGreen - Eco-Friendly Toners from the U.S. Your printer was made to print, obviously. All printer users know that. Printing has been a part of the office life and even school works that are made students, employees and anyone who needs a printed material. So when your printer toner runs out, you may get frustrated with your piled works. But have you thought of other ways to use your printer aside from doing the usual projects? Well, here are some projects that you can try to show your creativity and enjoy printing at the same time. With all the different types of paper accessible in the market that are made compatible with even the ordinary printers, you can already design your own clothes just by using iron-on papers. This kind of sheet is just like an average paper but the plus here is that you can stick this on your shirt and iron it to transfer the design or image that you printed on it. 2. Cover gifts with your personalized wrapper. Gift wrappers usually have ordinary and worn-out designs that can give problems to you if you want a creative and unique one. Now you can make your own gift wrapper with your computer and printer. Just check on any available designing program and buy a specialized paper for your own design. Show your ingenuity with your own home décor printed from an ordinary printer. You can even create mosaic or collage styles to add imaginative touches on your decoration or make your very own design and display it in your living room or bedroom. 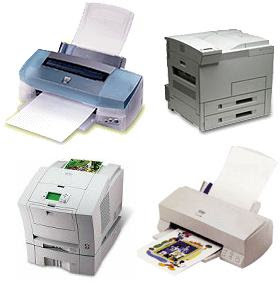 There are so many things that you can discover or accomplish with your printer as long as you are using compatible printer cartridges that offer perfect printing quality at an affordable price.